Ever been to a job interview and instantly realised it wasn't for you? Ever driven a battered old banger through the Pennines at breakneck speed, pursued by a psychotic Glaswegian assassin and an overweight intellectual in a high-performance Jag’? Ever fallen in love with someone you should have fallen in love with? Ever been stuck in a love-triangle with the girl of your dreams and a young, rich European cheese magnate who looks like Fred from Scooby Doo? Ever been bothered by a hamster infestation? Ever had a friend who you thought was OK only to find he was a sexual predator and vicious murderer? Ever had another friend who thought monogamy was a kind of wood, who thought a homeopath was “someone wot kills puffs”, who thought a meteor was a fat prostitute? 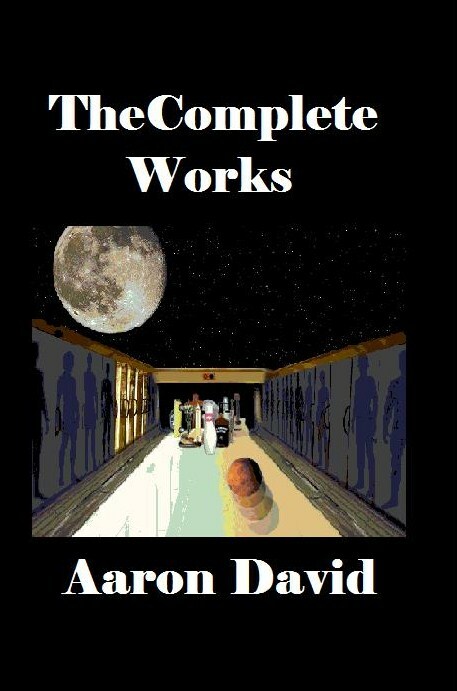 If you like your thrillers hilarious or your comedies disturbing, read 'The Tale of the Ancient Marina' by Aaron David. Strong language, strong violence, murder, sexual references. 12 short stories; count 'em! 4 Bogas Biographies; count 'em! Umpteen poems; I haven't counted 'em! This is the compilation of my collections; "The Skiffies", "Now That's What I Call Gibberish! 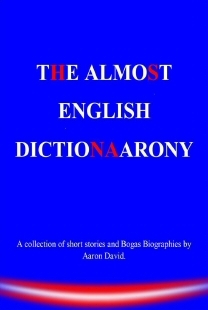 ", "The Almost English Dictionaarony" and "Rhyming Stuff"
Available for Kindle & in paperback. Everything I’ve written since 1997, 12 short stories; count 'em! 4 Bogas Biographies; count 'em! Umpteen poems; I haven't counted 'em! This is the compilation of my collections; "The Skiffies", "Now That's What I Call Gibberish! ", "The Almost English Dictionaarony", "Rhyming Stuff" and my novel; The Tale of the Ancient Marina. 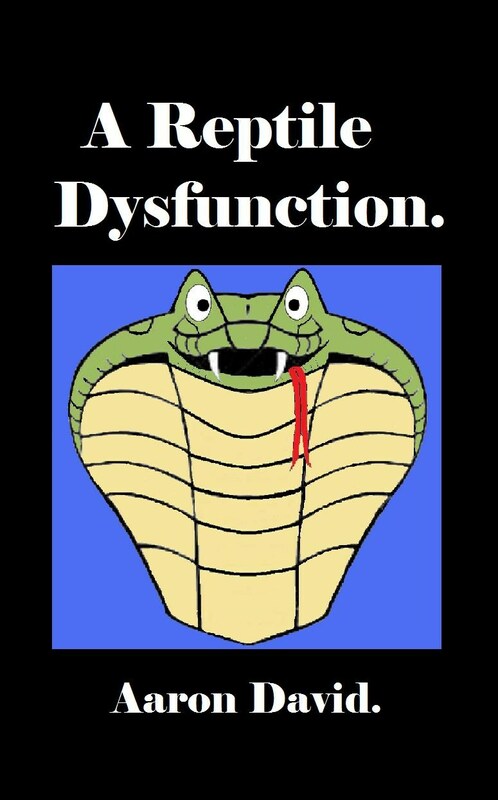 Available for Kindle. 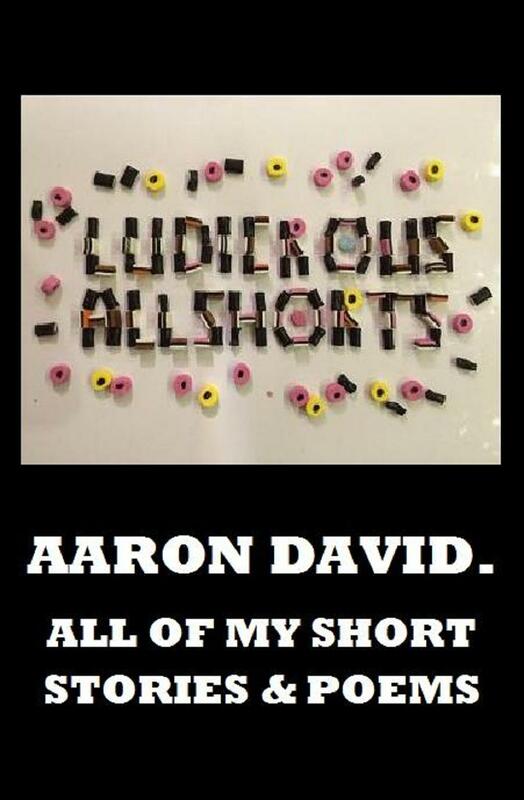 Four mind-melting sci-fi short stories with the obligatory Aaron David humour. Moon 2. Being rich is fantastic! Don’t let anyone tell you any different; There are downsides; you can relax on a sun kissed Malibu beach being served Tequila Mockingbirds, not a care in the world but sometimes it’s uncomfortably warm. Bits of sand stick to your glass, a dog may come sniffing around you, kids make noises... Imagine building a second Earth; one with a controlled climate well away from earthbound riffraff, just for the rich. Hughes the Rocket. When Emlyn Hughes (named after the footballer but not related) saw the Challenger disaster on the TV he became obsessed with going into space. But why? One Small Step. The first manned mission to Mars. What could possibly go wrong? 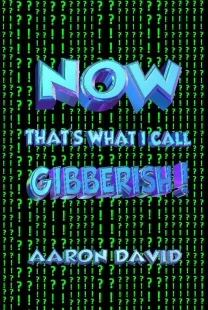 Now That’s What I Call Gibberish. WHAT THE HELL IS IT? Not far from our solar system but out of sight due to it's alignment is another, almost identical solar system with another, almost identical Earth. What if we were to meet? Nat Sav; Has your Sat Nav ever gone 'on the fritz'? Did it take you back through time? If you know Bolton, spot the locations. The Forgetful EPROM; "In the electronic world there are groups, factions; a pecking order just like in the real world." Available for Kindle. In The Woods; You're on a caravan holiday in South Wales, all is perfect, then a tiny, glowing, red dot appears on your T shirt. What could it be? Pete; A sweet story with a mind-melting twist. Indoor Fireworks; Daniel and Chloe's Dad visits the family home with his new "ladyfriend". Horace; My first children’s story. Life is great for a young chimp… unless he’s afraid of heights. Bogas Biographies. Vernon Bogas; Intellectual, journalist, bit of a git. He was a “serious” journalist; a political correspondent occasionally dabbling in economics. Eventually he figured out there was more money in interviewing celebrities and shameless self-promotion. He hunted down celebs who he admired. His interviews will be published one by one after the lawyers have finished with them. #1. Country singing legend; Buck Fuddy. #2. Hippy-chick singer/songwriter; Rachel Harmony. #3. Young poet; Quentin Nutzak. #4. Former Matinee idol; Leonard Razer. Available for Kindle. Poems; some funny, some sad, some thought provoking but THEY ALL RHYME!